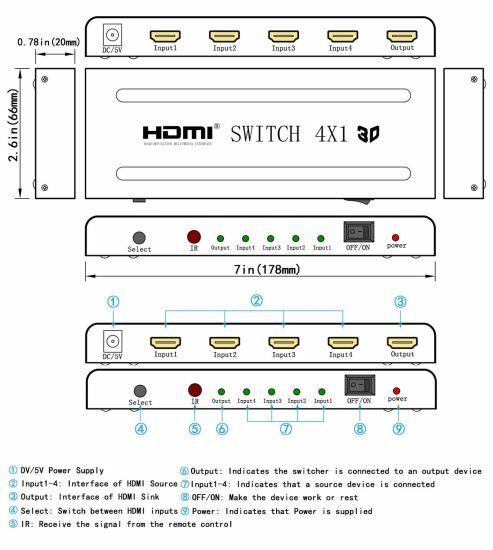 HDMI Switcher, 4k HDMI Switcher, 4k IR HDMI Switcher 4X1 manufacturer / supplier in China, offering 4k IR HDMI Switcher 4X1, Mini HDMI to VGA Adapter (with audio), Bluetooth 5.0 Wireless Earbuds with Auto-Charging Box and so on. 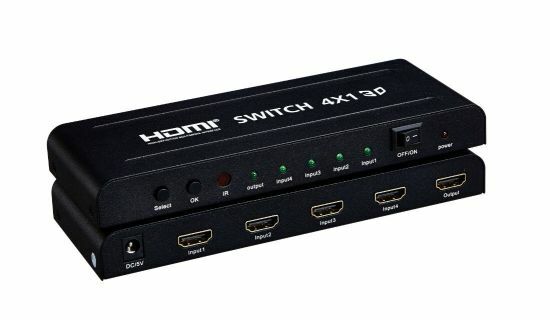 This 4X1 HDMI switch makes the user gets live picture-in-picture (PiP ) video preview of each connected device, which makes it simple and intuitive to switch among the cable box, the disc player, the game console, any other HDMI connected sources. 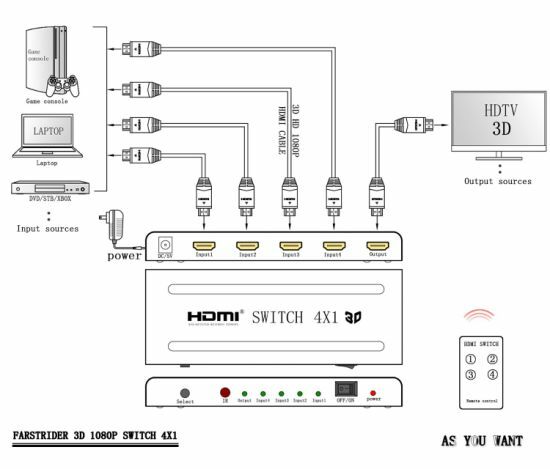 It supports all HD formats including 720p,1080i,1080p,4Kx2K, thus it's more suitable for home theater systems. * With InstaPor technology, this product achieves seamless switching among input sources. and gets big advantages compared to the previous switcher which needs to wait for a period of time in the switching process. 1. When the Resolution is over 1080P,the switcher does not support PiP function. 2. What this manual said "4K mode " refers to a resolution higher than 1080P @ 60Hz. 3.In the non-4k mode, when a new signal source put in, it will appear a new source of input preview on the left of the screen.